It's no secret at all that I am quite smitten with overalls. When I first laid eyes on this lovely top by Lily Ashwell I immediately knew that I had to pair it with this little overalls dress. And the best part about this outfit is that no jacket was needed! So very happy about this easy breezy weather. Hope you all are having a great Monday and fabulous start to your week! So cute! I don't know how you do it! Overalls look insane on me, lol. It looks fab with the overalls. It's always nice when an outfit you have planned in your head comes together. I really adore this look! You look mega lovely here. To be honest, I haven't been smitten by your style for a while but now I'm falling back for it. Love the color and shape of the skirt! Inspiring. I love the overalls dress, too cute!! You are the cutest ever! 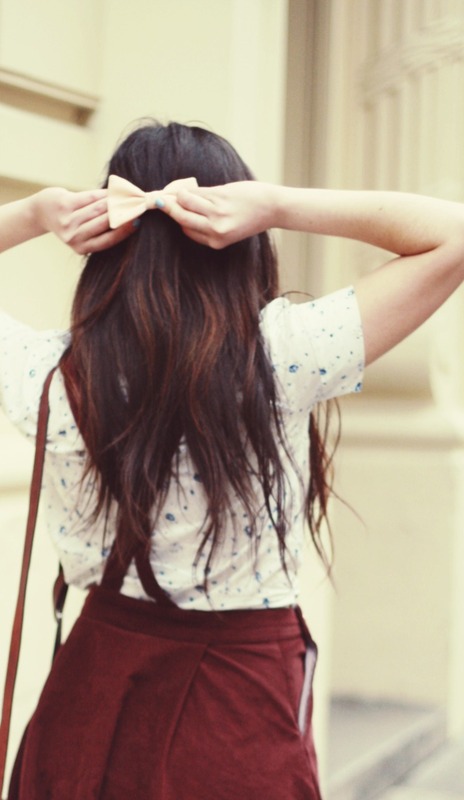 Love your little bow mixed with the overalls! Obsessed with good reason! They're adorable!! This look is so lovely :) the colors are beautiful!! So cute! I need overalls! You look so adorable in overalls! I would be a very happy girl if that jumper was in my closet! I just turned 29 and I think I need to wear one of these dresses before I turn 30! so cute! cutest outfit, EVER!!! love that blouse! I love overall dresses, they are so cute! You look adorable, this blouse is perfect for under one of these dresses. Such a pretty and cute outfit! très joli look!! j'adore les chaussures!!! love that overall! it looks cute on you omg love your style! 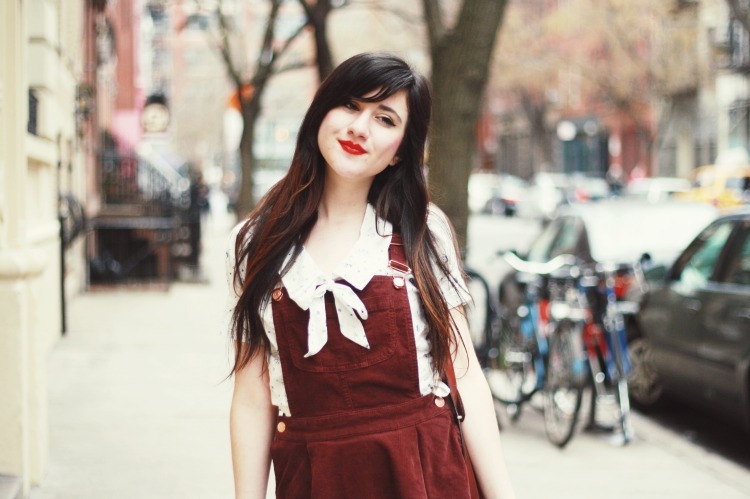 Oh goodness, I am in love with your Topshop overalls! you look so amazing wearing it!! Love your blog so much!! This is just so cute! 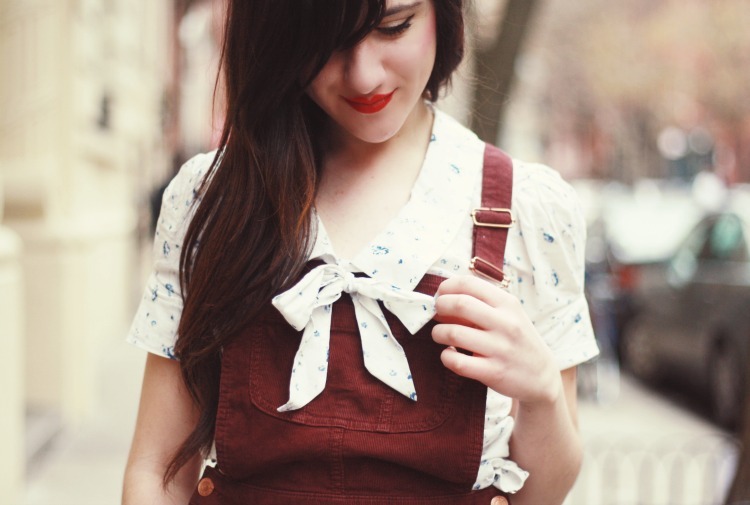 I love the idea of wearing a blouse with a bow detail on the neck with overalls. Love the outfit! The overall dress is so cute and the loafers and blouse match it perfectly! You look so cute! Love the overall. You look so pretty! Lovin' the overall.